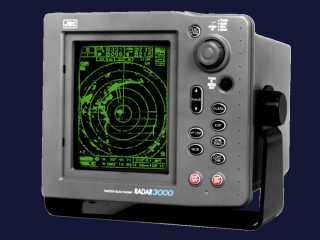 The Radar 3000 is one of Japan Radio Co., Ltd.'s smallest radars with a high-resolution monochrome CRT screen. 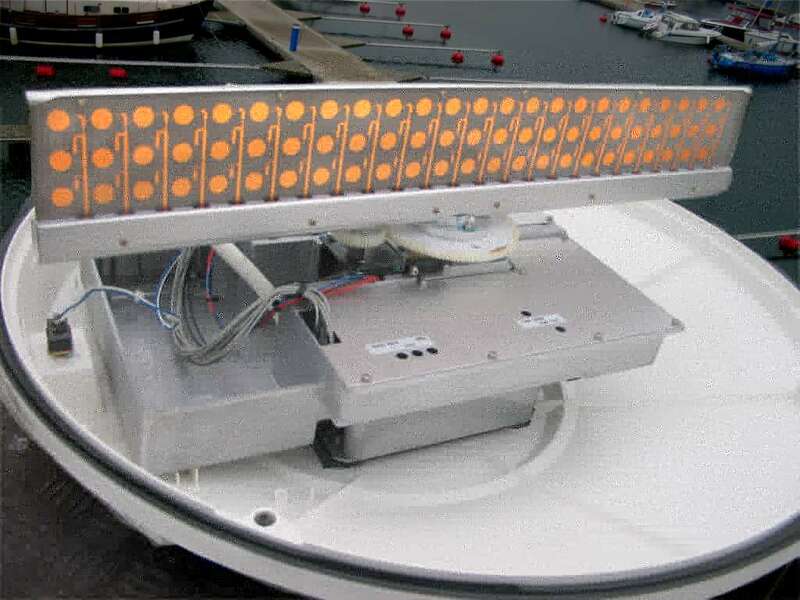 The JRC Radar 3000 is an exceptional radar system designed for serious pleasure boat users as well as small fishing boat operators. It uses a patch antenna with a fan beam pattern, fitted in a radome with a diameter of twentyfour inch. The radar transmits pulses with a pulse power of 4 kilowatts and achieves a maximum range of 24 nm. 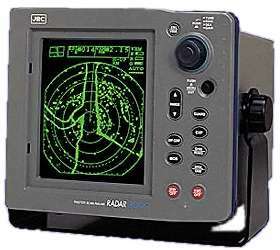 With the minimally pulse width of 0.08 microseconds the minimum range of the radar is about 1/8 nm. Easy operation is provided by the unique j-dial and j-stick. Menus are selected using jog dial and joy stick controls. By pressing in the jog dial, a menu is called up and a selection is made with the joy stick. By clicking the jog dial again, you can either go to the next menu or return to your radar screen. The joy stick also provides easy, “any-direction” control of location pointer for Latitude/Longitude, range and bearing information. Easy control of Variable Range Marker (VRM), electronic Bearing Line (EBL), gain, anti-sea and rain clutter, and range cursor.